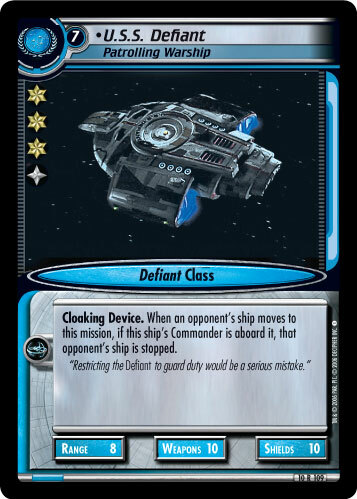 While you do not command a headquarters mission, you may play this ship at Caretaker's Array or at the same mission as your U.S.S. Voyager. While you command six or more personnel aboard this ship, it is Range -2. 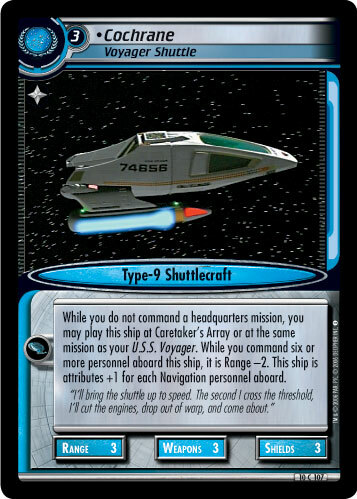 While you command a Temporal event in your core, this ship is Range +3. 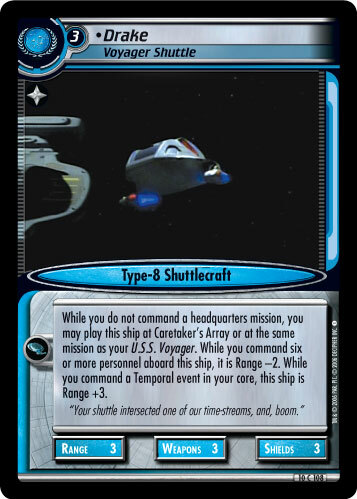 "Your shuttle intersceted one of our time-streams, and, boom."